Where are these 13 Rounds? The HRCR Annual Dinner Dance and 2015 Championships Award Presentation Night will be in at the Hellidon Lakes Hotel, near Daventry, on Saturday 13th February. A booking form has been included with the December/January issue of Old Stager, together with an accommodation reservation form. 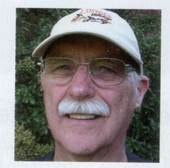 These forms, when completed, should be sent to David Holmes, either by mail or email at the address given on the form. A great night is being planned so that all HRCR members, and more importantly all 2015 Championship Award winners from each of the four championships, can celebrate their fine achievement amongst their fellow competitors. The evening will be rounded off, by popular request, with dancing to the live music of the Steel Weasels - till 1.00am. Please send your completed booking form to David Holmes to make sure you will be part of the 2015 Championship celebrations. 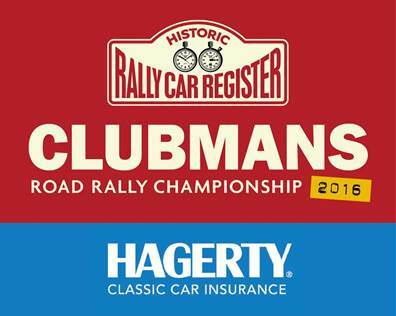 Since 1995, the HRCR has coordinated an annual series of historic road rallies in which clubman competitors have participated in driving and navigational challenges in their historic rally car or standard classic car, at a fraction of the cost of the big-name classic rallies. These popular single-day historic road rallies offer real tests for driver-navigator partnerships, each having a combination of regularity sections on quiet and scenic back-roads and timed special tests at private venues. They all run in daylight hours only, with some events on a Saturday, others on a Sunday, each covering between 120 and 150 miles. With entry fees usually around £100 per event, including lunch and a meal at the finish for the crew, they couldn’t be any more affordable. 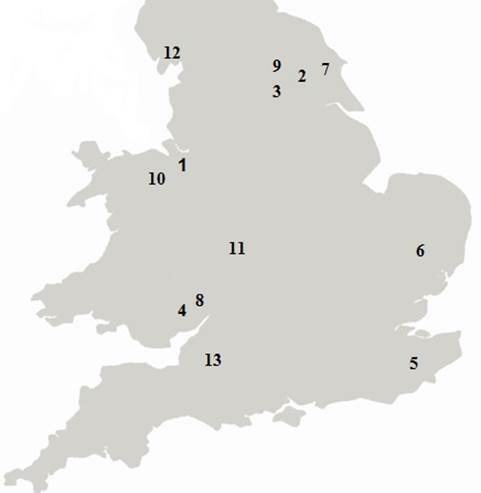 Starting in early March, events in the series are geographically spread around England and Wales. The historic rallies on the calendar are reassuringly similar in many ways but interestingly different in others. On events organised and marshalled by motor clubs local to each area, you’ll be mixing with a great variety of historic vehicles, mostly originating from the 1950’s, 60’s and 70’s. MG, Austin-Healey, Triumph, Mini-Cooper, Ford, Sunbeam, Alfa, Lancia, Volvo, Saab, Porsche are all usually represented in the entry lists. The series is coordinated by the Historic Rally Car Register (HRCR), the UK’s leading Historic Rally Club. All events in the series are run to MSA National-B regulations for which Competition Licences are easily obtained. Cars do have to comply with the MSA Historic Road Rally Vehicle Regulations, which specify four age categories with cut-off dates at the end of 1967, 1974, 1981 and 1985. Don’t be worried about the navigation. Routes use the excellent Ordnance Survey Landranger maps and finding the correct route is seldom too difficult for novice navigators, as organisers want to get everyone to the finish having enjoyed the day. Whether a Master, Expert or Novice to rallying, experience-based classes create fair challenges for all, whatever your experience or skill level. Still worried that you’ll find it all too difficult? – then enquire about the HRCR’s scheduled training days, when experienced competitors give instruction in all aspects of historic road rallying.